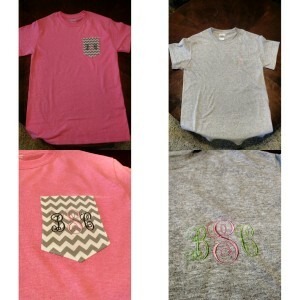 Monogrammed t-shirts are available! Click the monogram tab for more information! Posted on December 30, 2015, in Uncategorized. Bookmark the permalink. Leave a Comment.